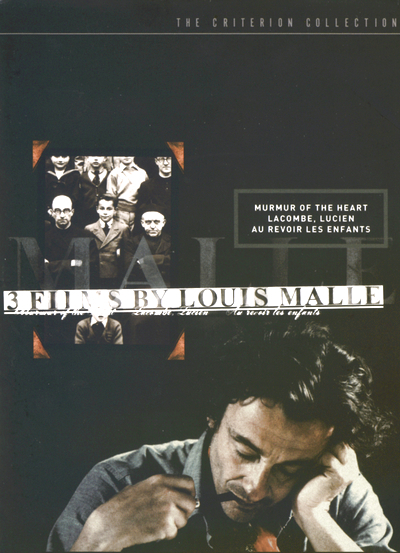 Perhaps more than any other director, Louis Malle is ripe for a critical reassessment. His films and career have been criminally underrated by the French because he's an oddball. As a filmmaker, Malle existed in two worlds: one of French independence, the other of American gloss. A postwar director who doesn't belong to the school of the New Wave, Malle had the audacity to cross the Atlantic and find success in Hollywood with films like Pretty Baby, Atlantic City, Damage, and Vanya on 42nd Street. Yet he also made films like Zazie dans le Metro, The Thief, May Fools, and the three pictures included in this boxed set, all vibrant with the independent spirit of French cinema. Malle and his work aren't easily categorized. Few directors have portrayed the agonies and epiphanies of growing up as poetically – and scandalously – as Louis Malle. Laced with autobiographical details, Murmur of the Heart; Lacombe, Lucien; and Au revoir les enfants tell stories of youth, set against the tumult of World War II and postwar France. Controversial, tragic, amusing, and poignant, these three films are not just coming-of-age stories but the director's ongoing response to a world gone wrong, revealing his true nature as rebel. See individual titles for plot synopses. 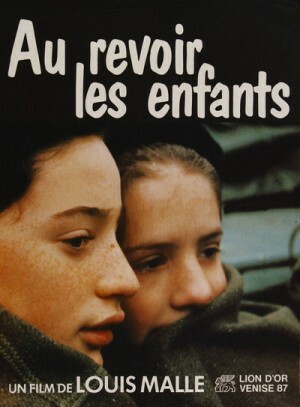 In Dijon in the spring of 1954, fourteen-year-old Laurent Chevalier (Benoit Ferreux) lives in relative affluence with his gynecologist father, Italian mother Clara (Lea Massari), and rambunctious older brothers, Marc and Thomas. Laurent is a gangly mama's boy obsessed with the energetic new jazz of Charlie Parker and Dizzie Gillespie. Awakening sexually, he rebels against the strictures of the Catholic school he attends, and finds a wry humor in the tentative advances of one of the priests (Michael Lonsdale). He secretly reads racy books and masturbates. His brothers arrange for his true sexual initiation at a local brothel, but sabotage their carnal gift before the act is fully consummated. More than any of this sexual exploration, though, it is Laurent's discovery that his mother is having an affair that begins to draw his childhood to a close. When he is diagnosed with a heart murmur, he and mommy retreat to a countryside spa. Because of a booking mix-up, the duo must share a room. In this cloistered environment, Laurent begins to comes to grips with his mother's dalliances. And one night, after hearty Bastille Day revelry, the duo find an odd comfort in each other's arms and Laurent takes his final step into manhood. In the southwest of France in 1944, a farm boy named Lucien Lacombe (Pierre Blaise) works as an orderly in a nursing home. He tries to join the Resistance but is rejected. Mr. Peyssac (Jean Bousquet), a school teacher and leader in the Resistance, tells Lacombe that the movement "is not like poaching, it's like the army," highlighting the frivolity of the boy's motives for wanting to join. Instead, Lacombe is swept up by the Gestapo and becomes an informant, ratting out local members of the underground. Later, he moves on interrogation, torture, and murder. Eventually, Lucien meets France Horn (Aurore Clement). She is the daughter of Albert Horn (Holger Lowenadler), a Jewish tailor who was enormously successful in Paris before having to go into hiding. As the couple's affection for one another grows and they plan marriage, Albert is pushed to the end of his rope. 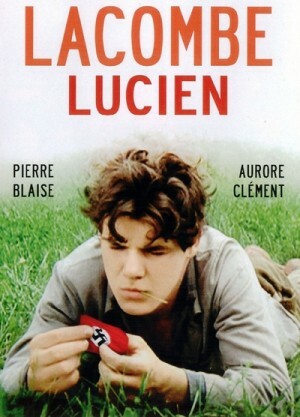 But when France is among the Jews rounded up to be sent to a concentration camp, Lucien is left with a difficult choice. In January of 1944, Julien Quentin (Gaspard Manesse) and his older brother Francois (Stanislas Carre de Malberg) return from their winter break in Paris to the boarding school at St. John of the Cross Carmelite Convent, run by Pere Jean. The monotonous ritual of school and mass are periodically interrupted by bombing raids that send the students and faculty into shelters. Eventually, Julien begins a tentative friendship with a new student named Jean Bonnet (Raphael Fejto). The enigmatic boy proves gifted in the sciences, as well as possessing an acumen in music and writing. Julien eventually discovers that Bonnet is a Jew named Jean Kippelstein. His mother is missing, and his father is in a concentration camp. Julien agrees not to say anything, but how much longer can Jean's secret remain safe?